Downtown Camera in Toronto has benefited from a recent resurgence in film photography and plans to expand into a larger space nearby before the end of the year. 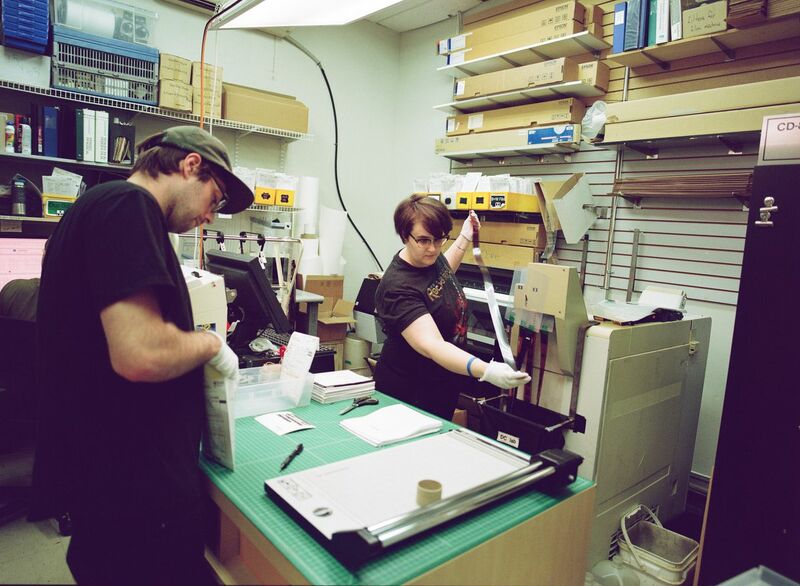 Here, employees Alex Arslanyan and Becca Patterson work quickly in tight quarters to fill film orders. The Globe and Mail photographed them with a film camera, a Pentax 645, using Kodak Portra 800 120 film. More below • Video: Film processing 101 • Quiz: Can you tell film from digital? At Toronto’s Downtown Camera, on any given day, there’s a lineup of young adults and teens clutching decades-old cameras and disposable point-and-shoots. Rather than take photos on smartphones or internet-connected cameras, these photographers are choosing to shoot on traditional film cameras and have their film developed at the store’s lab. 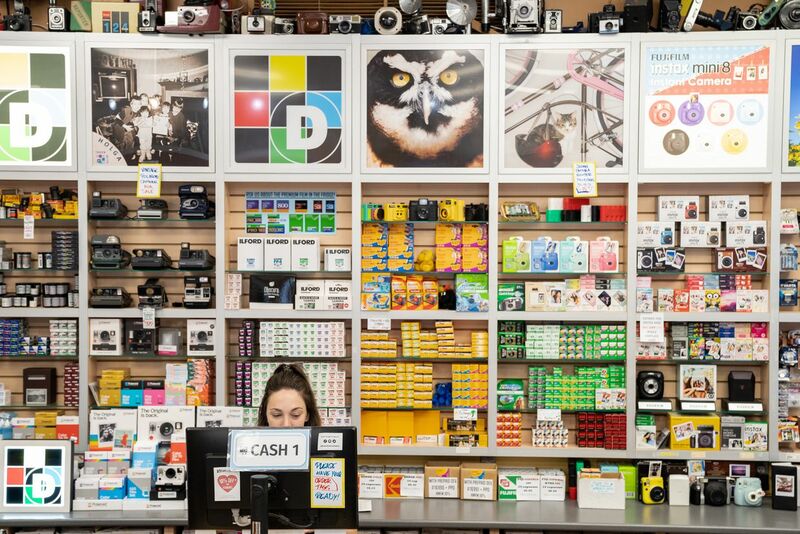 For Downtown Camera, which opened in the 1970s and operates in Toronto’s financial district, the interest is so strong that the business will soon be moving to a new location to accommodate a bigger darkroom. 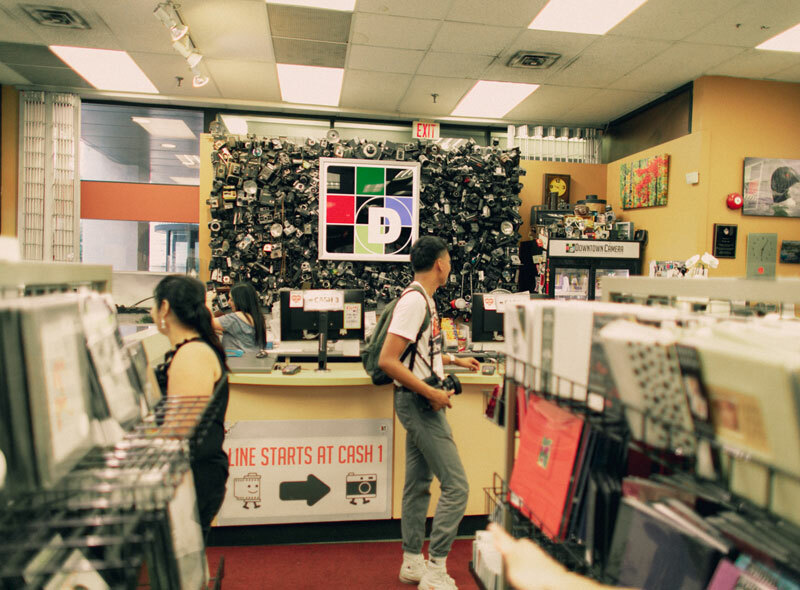 It’s part of a bigger resurgence of interest in film photography that is boosting business for specialty camera stores across Canada. The trend is driven predominantly by young people who have picked up interest shooting photos on film because of the different shooting experience and a look that is distinct from digital. It’s an analog comeback similar to that of vinyl records, which have been touted for the listening experience and rich sound and led to a whole new market for turntables and records. 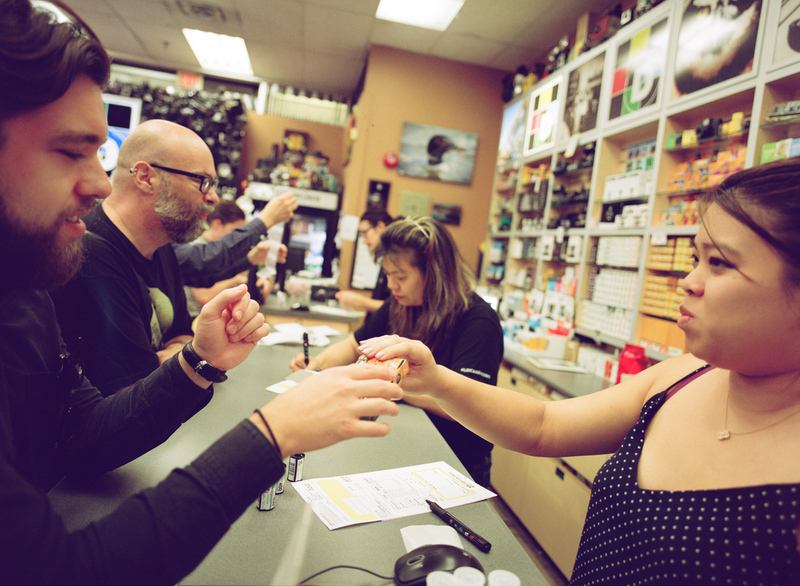 “I think when people practice film photography, it’s a different experience for shooting,” says Claudia Mac, who handles film marketing at Downtown Camera. She says the fact that you can’t immediately see the outcome of your photo and the limited number of exposures on a roll make people more thoughtful about how they shoot. Claudia and Harry Mac stand in the film lab's tight quarters. 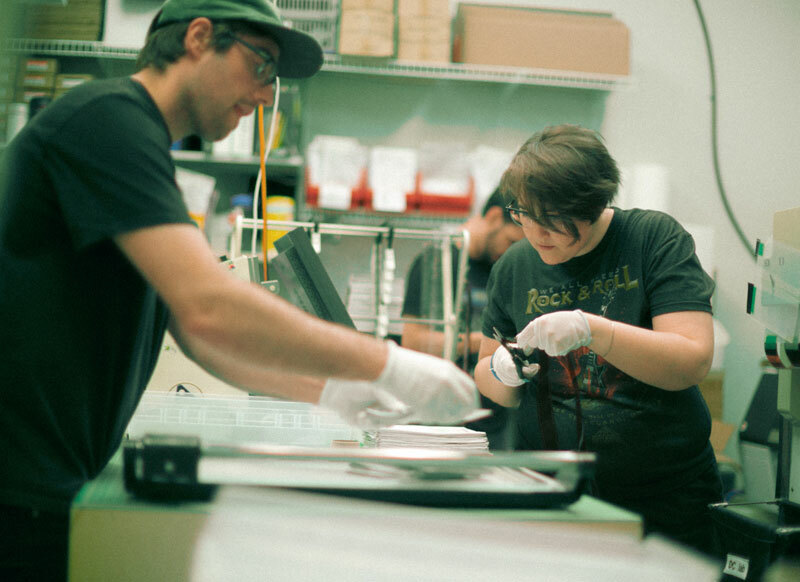 At left, lab technician Becca Patterson works on film coming out of the C-41 colour processing machine. 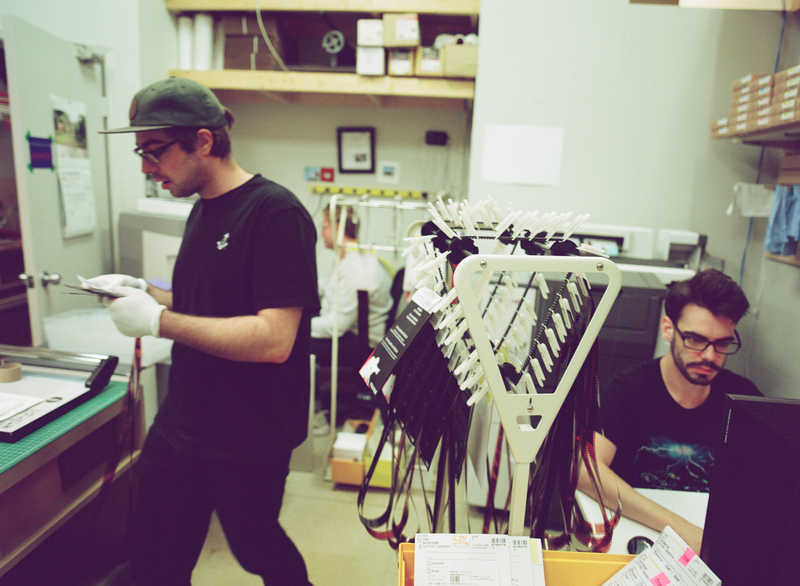 At right, Ronen Khazin cleans up the darkroom. This picture was shot on film. 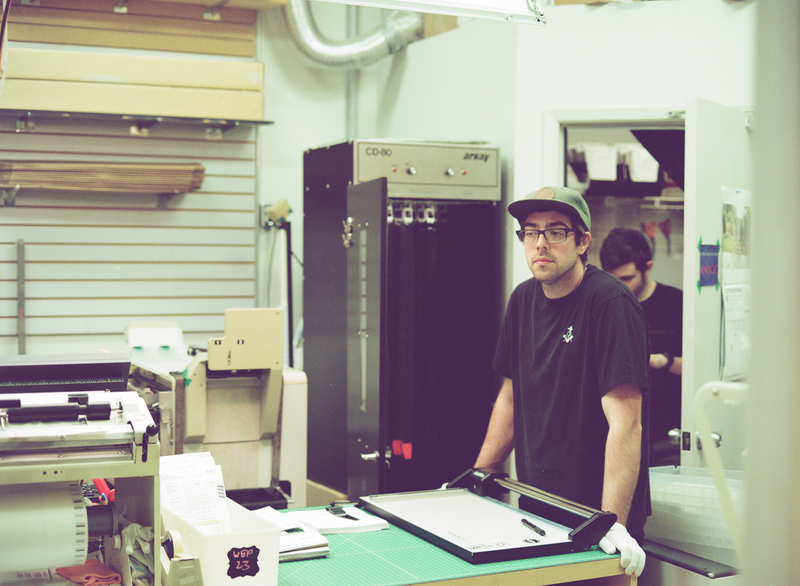 When the shop heard a space was available a few doors down with more room for a larger darkroom, Ms. Mac says the company jumped at the opportunity. Beyond the costs of moving to the new location, their investment into film services carries a large price tag. The cost of buying and shipping a black-and-white processing machine was well over $100,000, and more staff will have to be hired to operate the machine. According to Ms. Mac, film photography started to steadily rise in popularity around five years ago. Back then, their film lab only had a couple of employees. Today, the current space, which is about the size of a bedroom large enough for a double bed, crams in as many as seven staff on a busy day. Film processing requires specialized skills. Ms. Mac says that the staff need to master the extremely delicate developing process, and to cultivate relationships with the many professional film photographers who come to Downtown Camera. Ronen Khazin rinses a roll of black-and-white film in the darkroom. Here, and in the following photo, The Globe's photographer captured the scene with a digital camera. Black-and-white film hangs on a drying rack. He was first turned onto the idea after noticing other professional photographers shooting weddings on film. But the costs of purchasing and processing film are much higher than shooting digitally. Taking hundreds of photos on a medium-format camera for an entire wedding would lead to costs well into the five-figure range, and Mr. Unger says he is building up a portfolio of film shots before he starts offering film services to all his customers. Claudia Mac, middle, helps customers at Downtown Camera's sales desk. This photo was shot on film. It’s not the big-box stores grabbing all the business. Smaller camera shops across the country are noticing the uptick in interest in the medium. Melanie Allard, store manager of Vancouver’s Lens and Shutter, says many camera stores in the city have shifted their focus to film services. 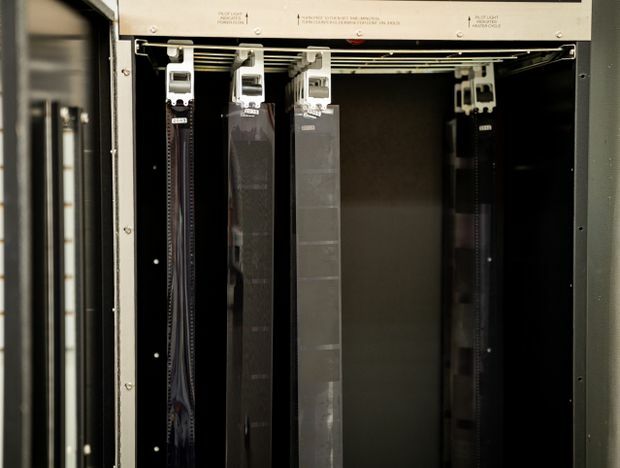 “Everybody goes to their local camera shops,” said Ms. Allard, who said that the company has ramped up resources toward processing film in-house over the past five years. 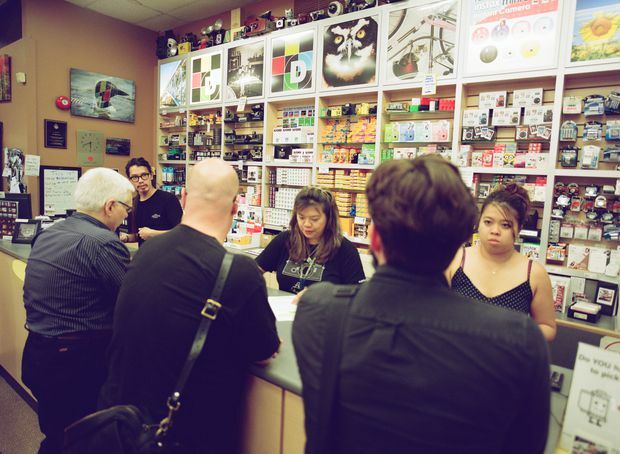 At Downtown Camera’s new location, Ms. Mac hopes to build on the community aspect of film photography, where photographers chat to staff when dropping off film, and excitedly look at each other’s pictures after picking them up. She plans to incorporate a lounge area and a cafe where people can sit, chat, and enjoy the experience of seeing their photos for the first time. Downtown Camera has expanded its wall of film and cameras from just a few shelves to an entire wall behind the sales desk. This photo was taken on a digital camera. On assignment for this story, Globe and Mail photojournalist Melissa Tait took some of the pictures featured above on a medium-format film, Kodak Portra 800 120, using a Pentax 645 camera. Watch the video below to see how the lab at Downtown Camera processed her film. Quiz: Which of these pictures were shot on film? Young Canadians are increasingly putting away their smartphones and Instagram filters to give their pictures the analog feel of real film. But can you see the difference between darkroom science and Photoshop magic? Some of the photos shown below were shot on a Pentax film camera; others were shot digitally on a Sony a7 III and a Canon 5D III, then adjusted afterward with film-like grain and colour in Adobe Lightroom. Try the quiz below to guess which is which. You can click on any image to open it in a new window and take a closer look. It was shot on film! Could you spot all the film photos? 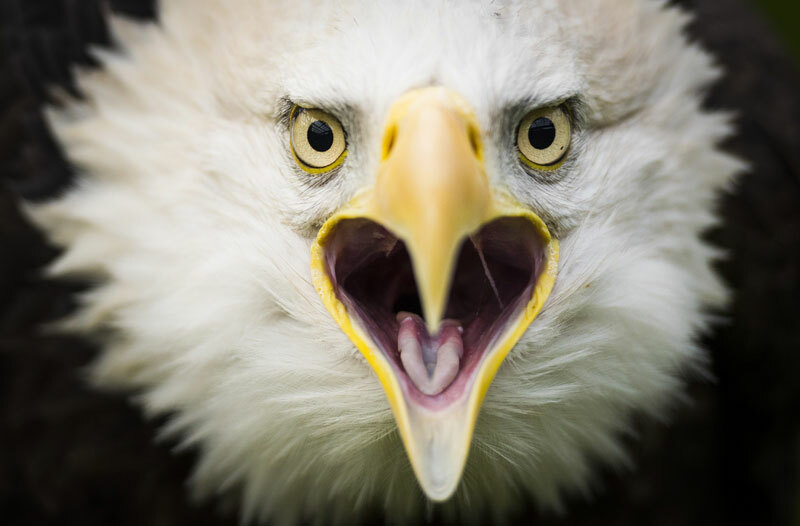 You've got eagle eyes! Well done. Editor’s note: The film photos for this story were shot on Kodak Portra 800 120 film. An earlier version of this story referred to it as "120mm"" film.